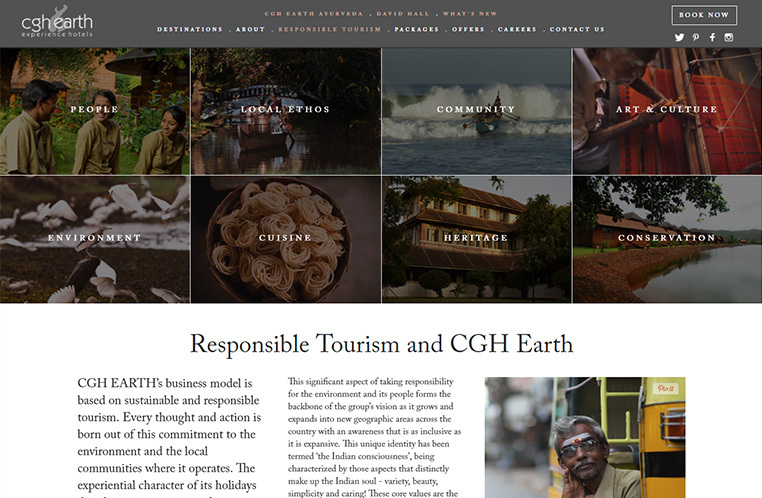 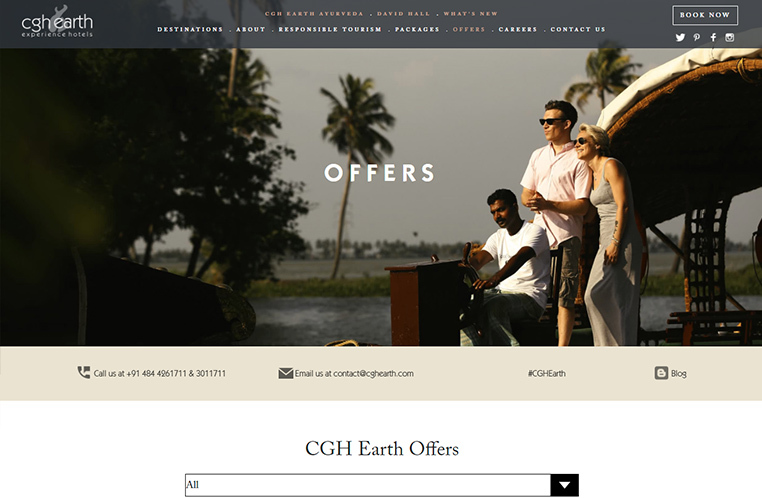 CGH Earth group offers some of the best luxury hotels in Kerala. 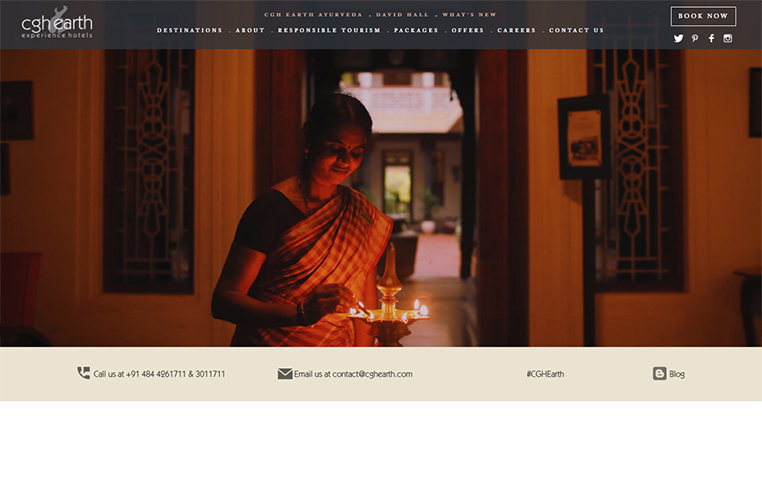 It has presence in in other destinations such as Pondicherry, Tamilnadu & Karnataka as well. 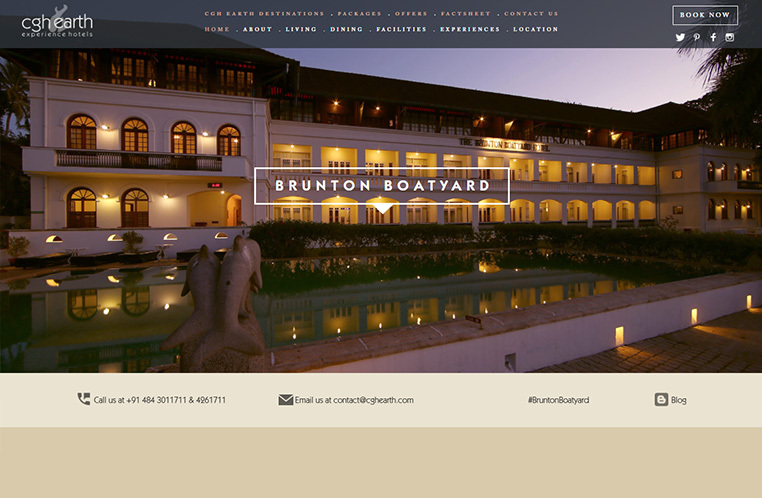 The website has a premium look to it in terms of design & stylized fonts are used. 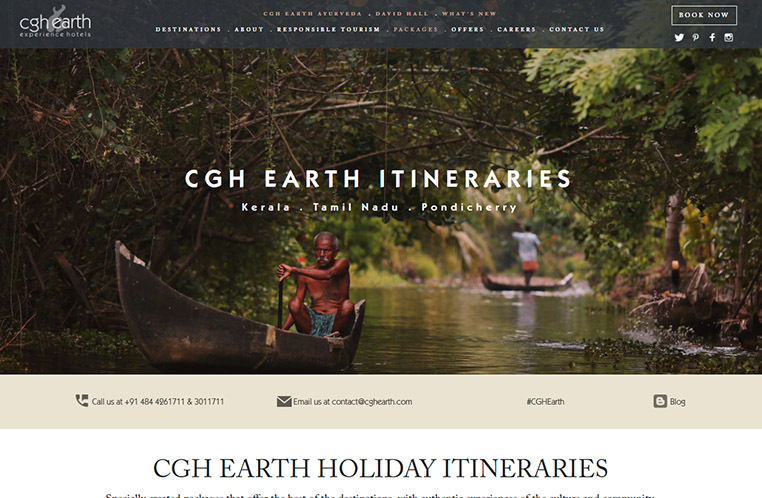 The site is responsive and fully dynamic. 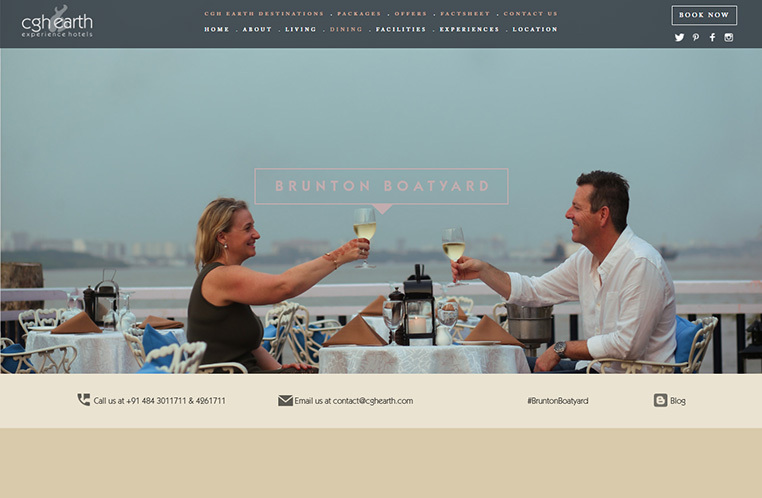 The website was done in partnership with Papaya Media.